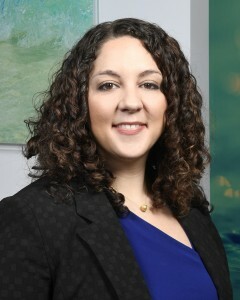 Stephanie P. Sanderson, Corporate Partner, has been named as a Rising Star by Bermuda Re+ILS in Bermuda’s Rising Stars: The next generation of leaders for her work in international tax transparency, regulatory and compliance as well as investment funds related to risk transfer structures and insurance-linked securities (ILS). Rising Stars are featured by the publication as future leaders of their companies and the industry as a whole. BeesMont Law is pleased to have received the 2017 Legal Services Award as part of The Bermudian’s annual Product & Service Awards which celebrate successful local businesses excelling in their respective areas of expertise. In an article published in the China Business Law Journal, Stephanie Sanderson discusses why sophisticated and discerning businesses, high net worth individuals (HNWIs) and investors make Bermuda their jurisdiction of choice and what makes Bermuda stand out as a world-class centre of commerce. Stephanie Sanderson, Corporate Partner, authored the Bermuda Chapter in Getting the Deal Through: Mergers & Acquisitions 2017. This volume is a part of the popular Getting the Deal Through series of legal guides, the market leading global guide to law and regulation. The Bermuda chapter follows a ‘Q&A’ framework discussing topical trends as well as providing essential need to know answers to fundamental questions facing corporations and counsel. Gretchen Tucker, Litigation Attorney, contributed an article to the Bermuda Parent Magazine (Fall 2017) discussing the Personal Information Protection Act, due to come fully into force in late summer 2018, and why special care needs to be afforded to the collection, processing and disclosure of personal information relating to children. Stephanie Sanderson and Sharon A. Beesley provide Thomson Reuters’ Practical Law an update on the current investment funds landscape in Bermuda and recent developments in the jurisdiction in the Investment Funds Global Guide 2017. Sharon A. Beesley, Partner and CEO of BeesMont Law, has been highlighted as an executive to watch in the Women in Hamilton edition of Re+ILS (Summer 2017) featuring leading female executives in Bermuda.